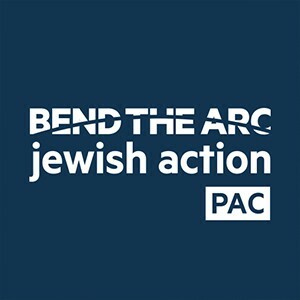 Bend the Arc: Jewish Action PAC is the first and only Jewish PAC to advocate exclusively for the progressive domestic issues our community has cared deeply about for generations. By bringing the values of American Jewish activists from across the country to Washington, D.C., we seek to hold this nation to its promise of justice and equality. Join us with a contribution today and we’ll see to it that your gift goes to support one of our progressive champions’ campaigns.